How can I find out what build I have? If it is old, how can I install new updates? To check and install new updates, please go to Help > Check for Updates. Then you will see what build you currently have and what is the latest update. Thereafter you will be able to download the update. Please keep in mind that if the first number of your current version is lower that the one in the last update, you will need to purchase the upgrade for an additional fee. 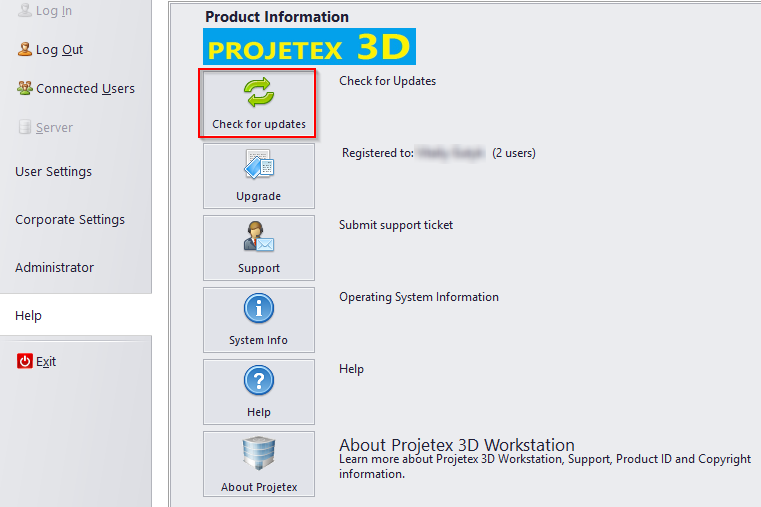 Alternatively can download the latest build of your version of Projetex in your personal profile at http://clients.translation3000.com. After you download the installer, just install the program "over itself". There is no need to uninstall the previous build.